To the uninitiated, SCADA may seem like just another chunk of consonants and vowels floating around in the alphabet soup of today’s culture. But a SCADA system is, in reality, an extremely important application of computer technology that has created huge gains in productivity and efficiency in the processing industries. A SCADA system is an assemblage of computer and communications equipment designed to work together for the purpose of controlling a commercial process. SCADA is usually implemented on manufacturing processes, (chemical and pharmaceutical processing, food processing, and discrete manufacturing), treatment processes, (wastewater treatment, municipal water treatment systems), and distribution systems, (gas, oil and water pipelines). Besides control, SCADA systems also perform monitoring, data logging, alarming and diagnostic functions so that large, complicated process systems can be operated in a safe manner and maintained by a relatively small staff. Lots of software that drives the I/O, runs the control algorithms, generates control outputs, displays graphics and monitored values, senses alarm statuses, and stores the monitored points in a series of data files that can be archived and recalled at a later time for analysis or process verification. How can download win cc software (scada). 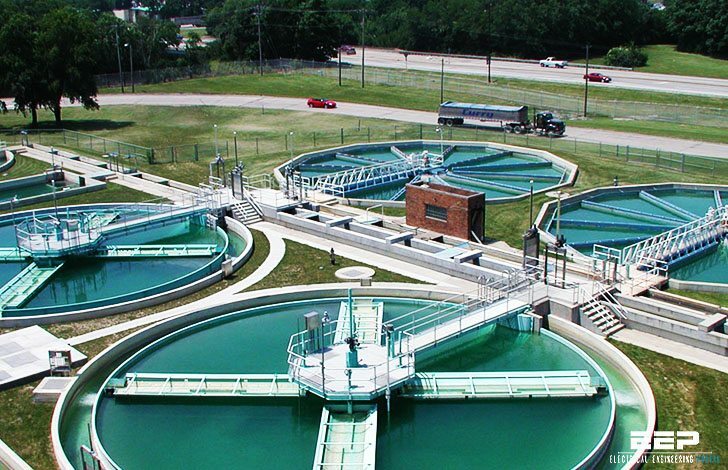 What about wastewater treatment ? I don’t see any reference to this subject except the title. This is an abstract from paper available for download.